Word has it that the night before the Singapore national football team was to play Japan at the cauldron that is Saitama Stadium last June, two men saw what was wrong with the head coach's game plan and were brave enough to decide to tear it up. It has been confirmed by players to The Sunday Times that Bernd Stange's insistence on playing a short-passing style led to concerns that the team would suffer a heavy defeat by the technically superior Samurai Blue. But on that June night, the two men - the German's assistants, V. Sundramoorthy and Fandi Ahmad - gave the first XI a detailed blueprint of how to stop the Japan attack, and the Lions came away with an unforgettable 0-0 draw. Yet on Friday, Sundram's patriotism, professionalism and potential was recognised by the Football Association of Singapore (FAS) in a strange manner, by making him - wait for it - the country's caretaker national coach after Stange's departure. Fandi was also considered for the role. Even on a day when it did something right, the FAS ended up sending the wrong signals. The FAS could have sent out a strong signal that it truly believes in the local coaches it has groomed. Instead, Sundram's coronation has been dominated by persistent questions on whether his crown is made of gold or paper. It has been 16 years since a Singaporean last held the reins of the top coaching job in local football, and much as the association tried to assure that Sundram is the best man for the job, his job designation is a synonym for words like "temporary", "interim", "seat-warmer", even "expendable". The FAS spoke highly of his tactical proficiency, his ability to fire up the local players and his desire to lead the Lions. He ran the gauntlet of interviews by the executive committee. He impressed so much that he beat top-level applicants, including one who had won a championship in one of Europe's top five leagues, to the coveted post. His pay is even comparable to his foreign predecessors Stange and Raddy Avramovic. So if Sundram really is their No. 1 choice, it is baffling that the FAS would want to hang a "P-Plate" around his neck. The FAS pointed out that the 50-year-old's only overseas coaching spell was for less than a year with Malaysian side Negri Sembilan in 2014, while Stange (ex-East Germany, Iraq and Belarus) and Avramovic (ex-Kuwait) had better resumes. It added that it had added the "caretaker" term to Sundram's title so as to protect the former national striker from the pressures faced by a national coach. Yet, FAS vice-president Lim Kia Tong seemingly contradicted the association when, during Friday's media conference to announce Sundram's appointment, he added that the term "caretaker coach is just a form" and "the substance is that Sundram is indeed the national coach". If so, then why bother with the "caretaker" term? Many of the FAS senior management never had prior experience heading a national football association. But you don't see titles like caretaker president, caretaker vice-president or caretaker general secretary. What the FAS failed to realise is that a title can mean a lot. As if his measly one-year contract - when his predecessors were given two - was not insulting enough, he will have to sit at pre-match conferences with the caretaker tag while the opposing coach could gloat at facing a seemingly lesser adversary. Notch one up for the opponent in the pre-match psychological game. Think it won't matter to players? Well, if results don't go Sundram's way and if players decide they can afford not to play for a caretaker coach who is only on a year's contract and hope for a fresh start under a new face, the FAS would have done their new coach a great disservice. But if there is anyone who can thrill and perhaps bring back much-needed good vibes to local football, it is the man who led the LionsXII to a surprise Malaysian Super League title in 2013. With the Asean Football Federation (AFF) Championship just six months away, the ex-National Football Academy and Young Lions coach has the killer app of knowing the national players from their formative years during his stints at the various developmental teams. 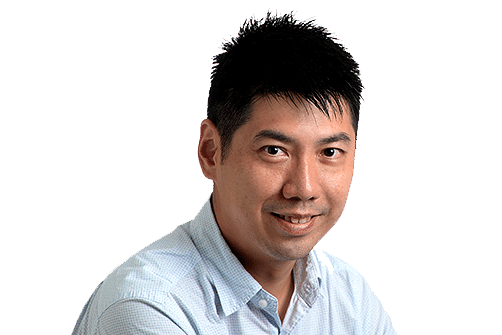 A solid tactician whose pragmatic approach delivers results, he could be just the man Singapore football needs right now after Stange's unsuccessful spell, in which he promised much but delivered little. Yet, knowing Sundram, he will be motivated to show his employers he deserves to have that C-word removed from his office door. It is just sad though, that he must start the game of his life being 0-1 down right from the start.